Turn-key offshore wind measurement company confirms deployment with one of the biggest energy Utilities in Poland. EOLOS FLS200 commissioned at Baltic Sea Offshore Wind Farm. The EOLOS FLS200 with on-board ZephIR 300M wind lidar, deployed. 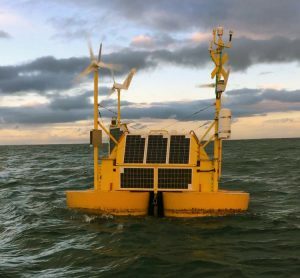 The campaigns commences November 2018 and wind measurements will last for two years. Data collected shall support the development of the un-disclosed Wind Farm with capacity for over 1GW. © 2017 Zephir Ltd. All rights reserved. ZephIR, Zephir, ZephIR 300, ZephIR 300M, ZephIR DM, ZephIR Care, ZephIR Power and Waltz are trademarks of ZephIR Lidar. Other company and product names may be trademarks of their respective owners.